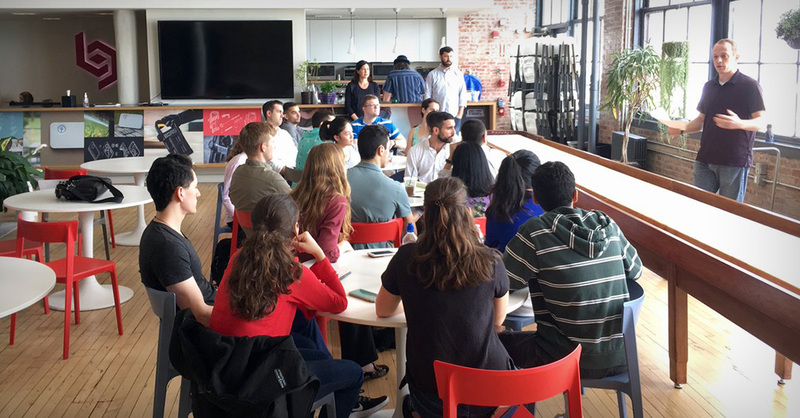 Last month a group of students from JeffDESIGN, Thomas Jefferson University’s design lab, visited Bresslergroup for pizza and a side of innovation shop talk. Field trips are part of the curriculum for JeffSolves, a group of faculty members and medical students from across the Jefferson community who come together to generate innovative solutions for urgent healthcare problems. 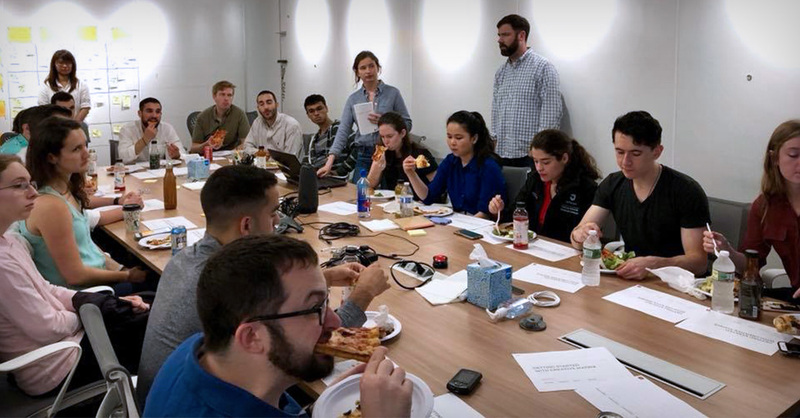 After giving the group a tour of our usability lab, engineering lab, and prototyping workshop, we sat down for pizza and a Creative Matrix demo. We’ve found that diving in is all well and good when the objective is to eat a delicious pepperoni pie, but it doesn’t work as well when you’re designing a product. 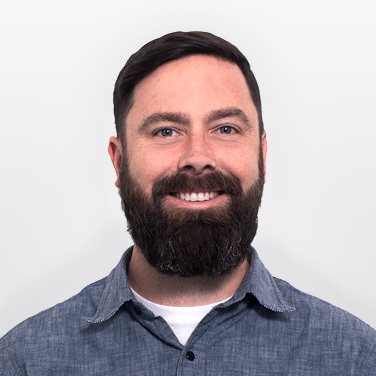 It’s human nature to want to jump right in to creating a solution after you’ve returned from field research and gotten excited about solving the unmet needs you’ve observed. But at that point it’s best to pause and do some “in-between” work before leaping into ideation. That’s because once you convert an idea into a thing — into anything, even as basic as a rough sketch on a Post-it note — it immediately becomes powerful. People fall in love with its realness … even if the idea is bad. The solution is always better if you pause first to understand and analyze the opportunities. During Creative Matrix, participants create and fill a grid where each cell represents the intersection of two disparate categories. It’s a way to structure brainstorming in order to generate a bulk of ideas, stimulate cross-pollination, find new solutions where topics intersect, and break away from conventional thinking. It’s best to use the columns as categories related to people (e.g., personas, market segments, or problem statements) and the rows as categories for enabling solutions (e.g., technologies, environments, or policies). You can then parlay these “mash-ups” of categories into catalysts to help generate a wide range of concepts in each cell. 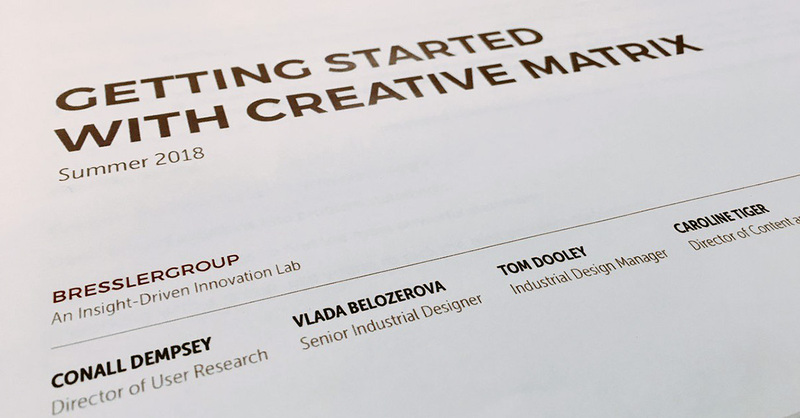 Creative Matrix’s highly structured approach can be broken down into three steps. The first? Identify the right questions. This is how the best solutions start. Here, the goal is to uncover the central focus for exploration and brainstorming instead of accepting a problem as given. To challenge assumptions, we want to restate problems as invitations for exploration and innovation. For instance, a statement like, “We need a device to help people make coffee” contains an embedded solution (a coffee maker). 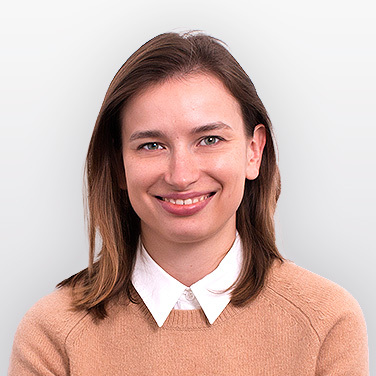 Instead, try: “How might we help people get caffeine into their bodies?” This phrasing leaves room for multiple interpretations of the challenge, which increases the possibility of finding new and better solutions — caffeine pills, patches … ? How might we get pizza to the consumer faster? How might we improve the ordering process using phones? How might we decrease quality reductions during the delivery process? How might we handle rush and down times better? It’s important not to hold back. The goal is to write lots of questions — twenty or more is better than four or five. If you’re working as a group, vote on the ideas to decide which problem statements will work best, and play with wording until you settle on the most evocative. Step two, usually a bit easier, is to think of categories that might enable your solution. Technology is always an intriguing enabler, but don’t limit your ideas to just one type or form of technology. Could phones, wearable tech, or tablets enable a solution? And don’t limit yourself to technology altogether. How might the problem be solved with a completely non-electric, manual solution? Other categories might include partnerships, public policies and laws, internal policies, infrastructure, gamification, accessories, etc. In the case of improving pizza delivery, we decided on new materials, green technology, infrastructure, and partnerships as potential enablers. Choose the five you consider most applicable and interesting. With that prep work complete, the next step is to fill a poster or white board with a large grid — 5 x 5 is a good size. Top your columns with the team’s favorite problem statements, and start your rows with your most promising enablers. Leave a “parking lot,” or blank space, for interesting ideas that might come up but don’t necessarily fit into the grid — the wild cards. Then give each participant a pen and a sticky note pad and ask them to ideate at the intersections of the grid, writing one idea per sticky note. It’s best to limit ideation time to no more than 30 minutes, and to request silence during the process so that no one voice dominates the space. Look for ideas where your rows and columns meet. For instance, where “How might we get the pizza to the consumer faster?” meets “Green Tech Initiatives,” we had ideas for a solar cooker and a reusable exoskeleton box. 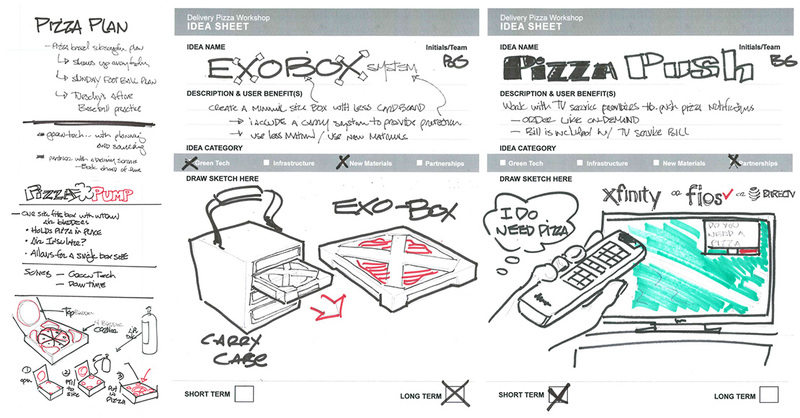 In the cell where “How might we decrease reduction in quality during the delivery process?” meets “New Materials,” we had an idea for air bladders inside the box to prevent pizza from getting jostled during delivery. Once the grid is full, up-vote the ideas with stickers, and take note of repetition or overlap. Begin to develop your best ideas into half sheets, adding sketches, rough notes, a title, and anything else your client might request. At the end of Creative Matrix, you should have a handful of ideas worth pursuing. One way to flesh them out further is to make Idea Posters. We created some quick sample posters — one that we named “Pizza Plan” is for a subscription-based pizza delivery service (at the intersection of “Getting pizza to consumers faster” and “Green Tech”). A subscriber might have a standing order for pizza every Friday at dinnertime or every Tuesday after baseball practice. 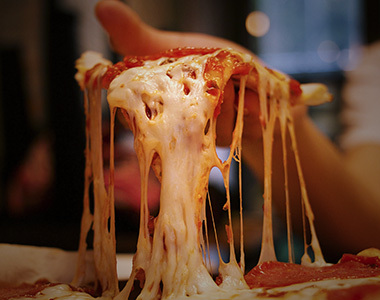 This solution improves customer experience and allows the pizza shop to better plan ingredient sourcing and efficient delivery routes. Another idea we played with (under “Partnerships”) is teaming up with a cable company to let people order pizza through their TV remote. On the concept poster, we named the idea “Pizza Push” and sketched a storyboard. 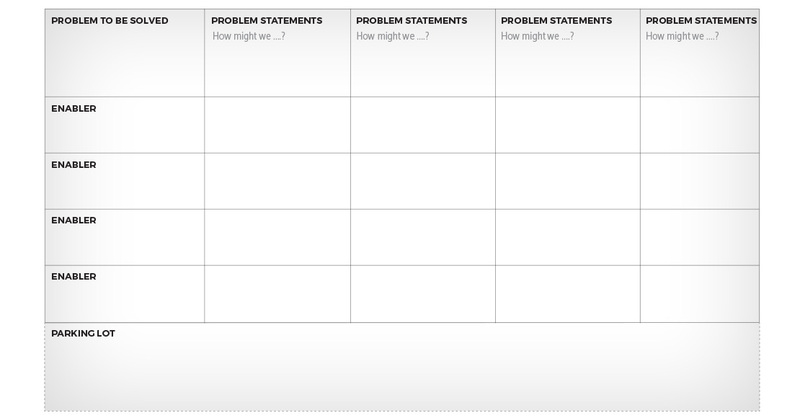 If you find yourself with the great problem of coming out of Creative Matrix with too many excellent ideas, there’s another tool called the Importance/Difficulty Matrix that will help you prioritize which to pursue. That and “Concept Posters,” fleshed out versions of Idea Posters, are both described in more detail in an earlier post, Five Innovation Methods To Try With Your Team. Developing and launching new products is risky. Creative Matrix and other tools help remove that risk. It may not be as cinematic as the lone genius coming up with a brilliant idea out of the blue, but it’s certainly more reliable! 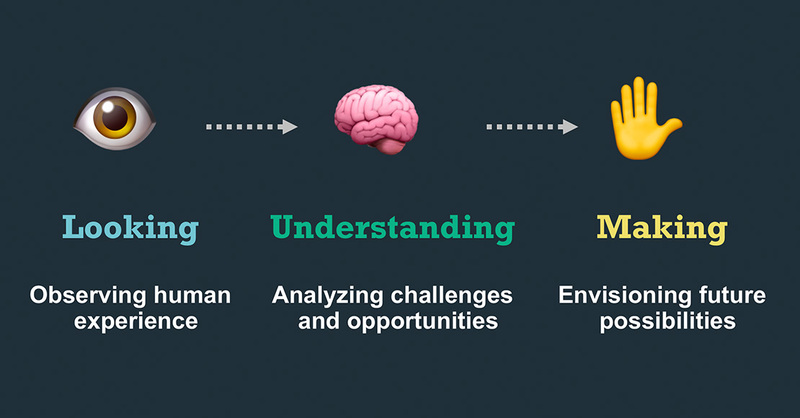 Arranging observations into patterns, reframing, questioning, and clustering all lead to consistent innovation, and the approach is both adaptive and effective. Here’s the Creative Matrix Worksheet (PDF) we developed for the demo if you’d like to try it with your team. Let us know how it goes!